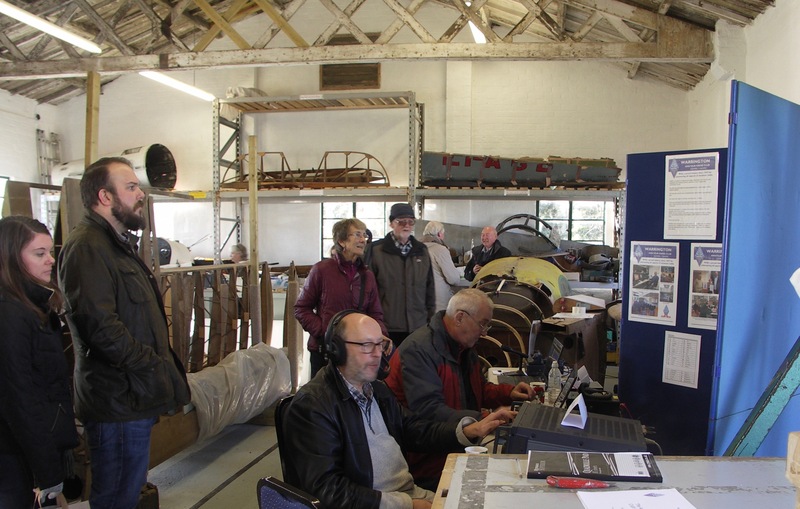 For a third occasion the club took part in an event at the Hooton Park Hanger and aeroplane Museum,this time was part of a “craft fair”. 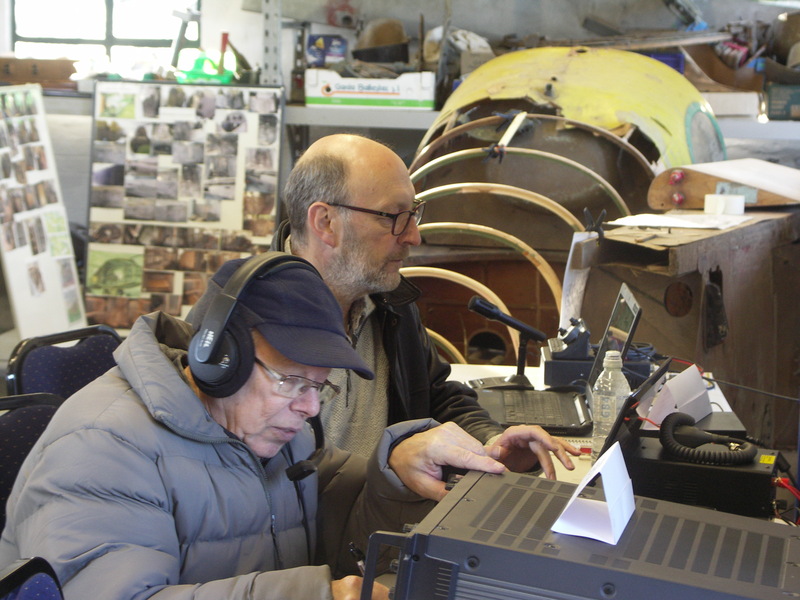 Using the call GB2TAC standing for “The Aeroplane collection”. Look up the call on qrz.com with more information on the museum and WARC’s involvement. The opportunity was taken to talk to the sites visitors about our hobby and demonstrate communication on the bands, some interest was shown and we met some people who held licences or members of their family were licensed. Operation on VHF and HF mainly 2 Meters and 40 Meter, over 80 qso’s made during the day operation from about 10:00 am to about 3:00 pm when the park began to close down and visitors made their way home on a bitterly cold Sunday in November. 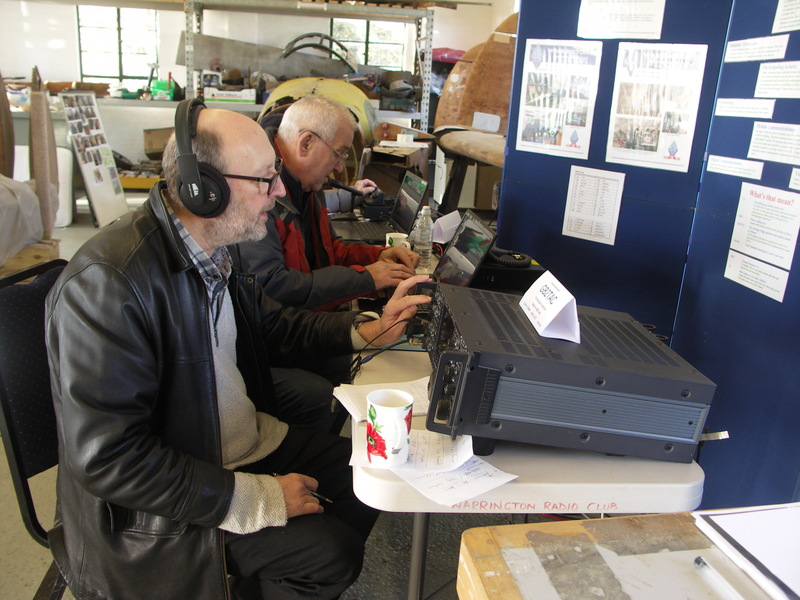 Mike G4VSS operating on 40 Meters Colin M0NVJ logging ! Below Jeff G1DYN operating whilst keeping warm !